The Prickly Ash is a shrub or small tree native to the Eastern and Central part of the United States and Canada. Known scientifically as Zanthoxylum Americanum, the berries, leaves and bark of this plant have been used medicinally for more than a century. A similar tree species, the southern prickly ash is Zanthoxylum clava-herculis. In particular, its bark is the main source of its healing properties.The bark is used to make a tea, brew, or herbal tincture and may come in dried broken pieces or powder. They are commercially available, many times as dried extract powder, and are deemed by the FDA as generally safe. Prickly Ash is also referred to as the Yellow tree. In different areas throughout the world, it is also called Toothache Bark, Pepper Wood, Clavalier, Common Pricklyash, Toothache Bark, Prickly elder and Angelica tree. 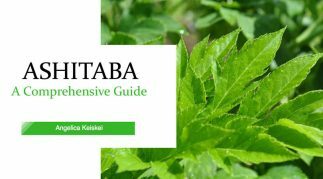 While not native to Japan, many practitioners of alternative holistic herbal health in that country turn to this bark for it’s many and varied health benefits. Let’s discuss those further now and then later we’ll look at any potential side effects. The bark is widely used in the field of medicine. 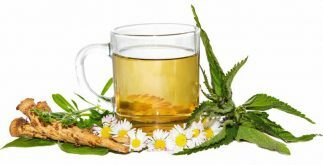 Its essential medicinal uses and benefits are listed below. Soothes cold feeling of the body. The prickly ash bark’s main benefits revolve around its capability of improving blood circulation. Through this, it also improves the conditions which are related to poor blood flow. It is beneficial for conditions like abdominal chills, leg cramping, varicose veins, and lymphatic circulation. It can even help in treating Raynaud’s syndrome. The pains and discomfort to muscles, bones and joints can also be relieved by Prickly Ash bark. 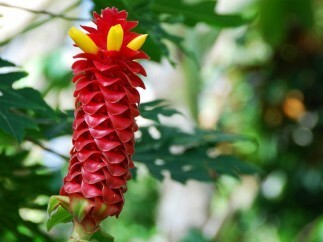 As it improves the blood flow, it is also helpful in treating arthritis and rheumatism. Prickly Ash bark is also proven to have helpful medicinal uses surrounding the chemical compound herculin on the mucus membranes, thus preventing and treating some respiratory disorders. It soothes the mucus linings and will help in better absorption of nutrients from the foods we eat. Fatigue, anxiety, and weakness can likewise be treated with Prickly Ash bark. 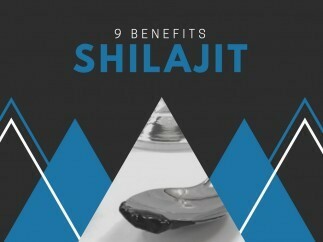 It boosts the functions of nervous system through easing the nerves throughout the body. It can also be useful as an energizer. This herb is also proven to be beneficial in the digestive system. It can also help in treating gas formation on the intestine, and can protect the stomach. 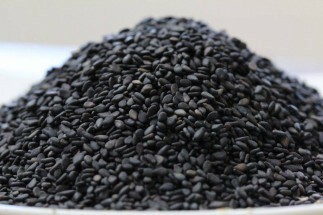 It is also believed to help in the removal of waste in the body. Moreover, it also eliminates worms and parasites. Lastly, this bark has medicinal uses in making creams and ointments to treat various skin conditions. It can act as a soothing agent for some inflammations, cracks, and skin eruptions. Prickly Ash bark has been used medicinally for more than 100 years and while medicinal properties have yet to be fully studied, anyone could start benefiting from this all-natural remedy. While this section deals specifically with the bark, please note that very little is known medically about the potential side effects of the berry. Prickly Ash Bark raises blood pressure so should be avoided by anyone suffering from already high blood pressure and since it stimulates stomach acid, those already suffering from intestinal and digestive issues strictly related to overproduction of stomach acid should beware as it will further irritate stomach problems. Further since not enough evidence exists, pregnant and breastfeeding women should avoid its use. Thnx. This is great info. I have several conditions that may benifit. I’ll give this a try. Have a great day. I am an RN who has also followed an alternative path, both due 2my own health issues that not 9nly didnt respond 2 western medicinal approaches, but also because of 2 children with difficult to treat conditions. We treat many of them alternatively. Another recipe for an all-natural herbal insect repellent for black flies. I LIVE by a black fly breeding ground – I use the below formula both for protection from the flies, and to heal bites and stop the itching once I’ve been bitten. Been using it for years – and it is probably the most requested repeat item I sold. Black flies come out mostly at twilight hours and on cloudy days. So apply only when needed. Application lasts for about 1-2 hours, any longer and you need to re-apply. Put essential oils in 2 TB everclear and stir. Blend together a few seconds so is quite smooth. Mix with e/o alchohol blend. Bottle or place in mister. Shake bottle well before and while using. Apply primarily to area around hairline, armpits (and if your swimsuit is skimpy, around groin area) as those are the areas the black flies fo for primarily. I also spray my hat with the stuff. 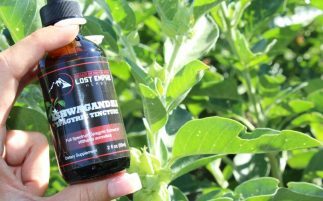 Too make formula simpler, you can eliminate the lemon eucalyptus (up the lemongrass by same number of drops) and can do either 40 drops of peppermint or 40 drops of eucalyptus – and eliminate the one you do not do (the peppermint or the eucalyptus). It works, nearly as well. If that is still too involved – simple lemongrass and lavender in an alcohol carrier is also effective – 4% solution. Use neat lavender on the bites. I also have just smooshed up whatever aromatic herb I found growing nearby and apply repeatedly to prime areas (most mints, most aster flowers, cedar even balsam needles all work in a pinch) Just got to apply about every 15 minutes. Keep away from rivers and flowing water during peak hours. Make a cedar smudge pot or smudge bundle (preferably a resinous herb such as cedar) and keep waving the smoke around. Black flies are easy. Anyone got ideas about stable flies and horse flies? They get you right through protective clothing and nothing I’ve tried seems to stop them – except a flyswatter (and deet products).